Legal highs and bad t-shirts aren’t the only things being pushed on Vespucci Beach. Four factions raid each other’s stashes for control of the area’s ‘tourist trade’. Take product back to your spot and it’s yours. Like any military operation, when things kick off at Fort Zancudo Air Base, they escalate pretty quickly. Teams stockpiling weapons to sell on the black market raid each other’s bases at either end of the facility. If they get the goods back, they’re banked. Nothing’s off limits to be used here, including the fighter jets. Gang violence escalates in Chamberlain Hills, as block fights block at close quarters. Four factions with two packages each try to raid each other and protect their own stuff. If they get someone else’s product back to their turf, they’ll have to protect it. 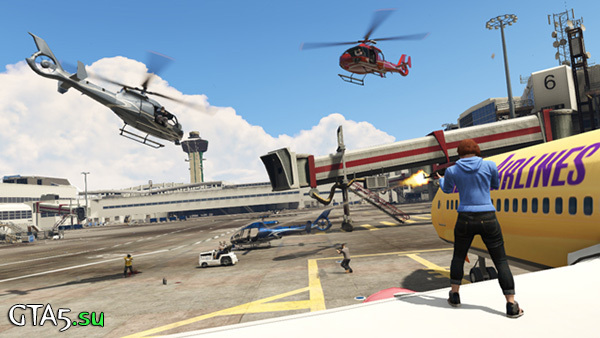 Capture is available now as part of an automatic update for GTA Online, which also includes a host of fixes and dynamic tuning updates. For details on those please check out the Rockstar Support page.